It is a legal requirement within the UK that a MOT test is carried out annually on all vehicles over three years old. The MOT will test your vehicle's roadworthiness, ensuring your vehicle is compliant with key safety and environmental requirements. When to book my car for an MOT? An annual MOT check is a mandatory test for all cars over 3 years old. Once your car reaches 3 years old it will require its first test. After that, an MOT will be required every 12 months. What will happen during the MOT? 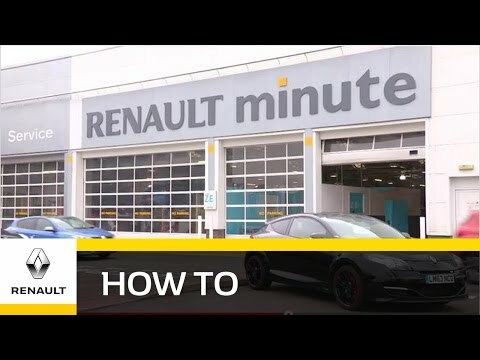 On the day, our team of trained Renault experts will inspect the bodywork, doors and mirrors, lights and horn, brakes, steering and suspension, tyres and wheels, windscreen, wipers and washer bottle, exhaust fuel and emissions, seats and seatbelts, vehicle identification number, and registration plate of your vehicle. If your vehicle fails it's MOT test and is left at our dealer to be repaired, there will be no additional fee for a retest. If your vehicle is removed from our RMB Renault dealer for repair and is returned for an MOT retest within 10 working days following the day of the initial failure, only a partial retest is needed and a partial retest fee may be charged. Only one partial re-examination is permitted per full examination. In any other case, a full re-examination or an appeal test will incur a full MOT fee.